Preheat the oven to 275 degrees F (135 degrees C). Place ham in a roasting pan. Pour in water to a 2 inch depth. Cover with a tight fitting lid. Bake for 6 to 8 hours in the preheated oven (all day or all night). Remove from the oven, pour off drippings and reserve. De-bone ham, removing any excess fat as well, and return to the roasting pan. Skim fat from the top of the drippings, and discard. In a small bowl, mix one cup of the drippings with Splenda brown sugar, liquid smoke, Worcestershire sauce and cloves. Pour this over the ham, cover and return to the oven. 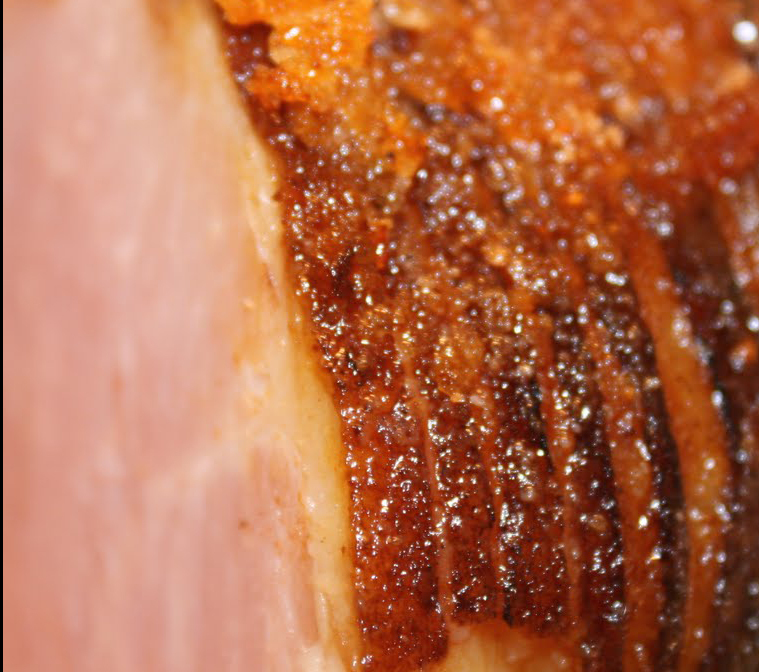 This entry was posted in Entrees, Holiday, Metabolic Medical Center Recipes, Pork and tagged easter ham, ham, Metabolic Medical Center Recipes by foodies4mmc. Bookmark the permalink.